“We thought that Kepler could also stare at galaxies, and we would wait for something to explode,” said University of Notre Dame astrophysicist Peter Garnavich. “So for three years we had Kepler take images of 500 galaxies every 30 minutes. It’s up in space, so it can take images daytime and nighttime while down here the sun and Earth always get in the way. It is one of the fundamental questions that remain unanswered in astrophysics: What are the progenitor stars of a “type Ia” supernovae? A new paper in the journal Nature by Garnavich and a team of researchers describes how they used the Kepler Space Telescope to catch three stars in the act of exploding. The results shed light on which stars generate these energetic outbursts. The image below shows type 1A supernova 1994D that exploded near the outer edges of galaxy NGC 4526. (NASA/ESA/Hubbe/High-Z Supernova Search Team). Garnavich pointed out that one difference between these two possible models is that in the SD model there is a normal star sitting next to the exploding white dwarf, while in the DD channel there is nothing. Garnavich and his fellow researchers decided that the Kepler Space Telescope, which was originally designed to look for planets, could also be used to study supernovae. They used Kepler to continuously stare at several hundred galaxies waiting for a star to explode. The “KEGS” team is an international collaboration including members from the University of Maryland, Johns Hopkins and the Australian National University. KEGS is short for Kepler ExtraGalactic Survey. 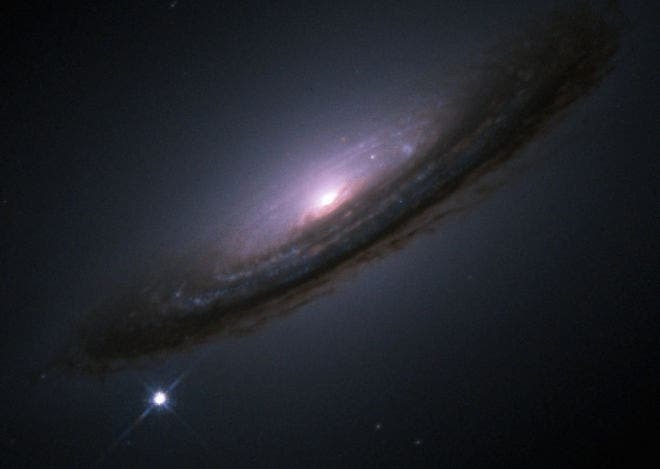 The team’s results, which were outlined in a paper in this week’s edition of Nature, could lead to a change in the prevailing view of the progenitor stars of type Ia supernovae. 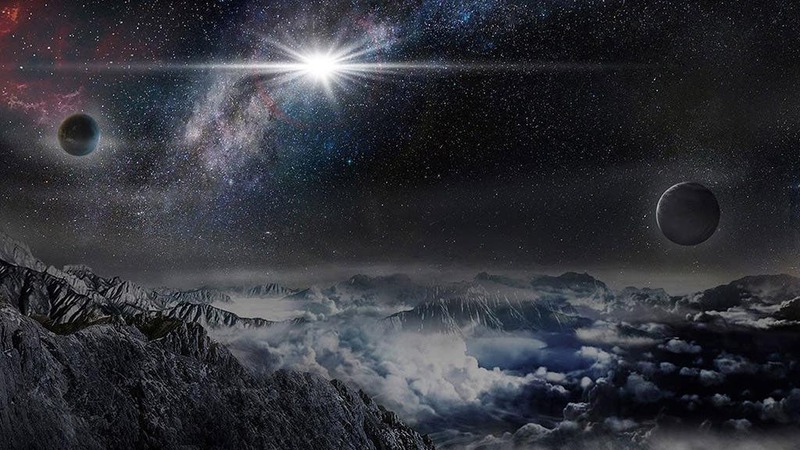 An artist’s rendition of supernova ASASSN-15lh as it might appear from an exoplanet about 10,000 light-years away is shown at the top of the page. It’s the most powerful supernova discovered in all of human history. ASASSN-15lh, named after the All Sky Automated Survey for SuperNovae (ASAS-SN) telescopic survey that found it, belongs to a very rare class of “superluminous supernovae.” It has 10 times more energy than our sun will produce in the next 10 billion years—and shines 200 times brighter than a typical supernova.